Destroyed in 1938, Wrocław\'s New Synagogue had a capacity of 2000 faithful and was the second largest in prewar Germany. 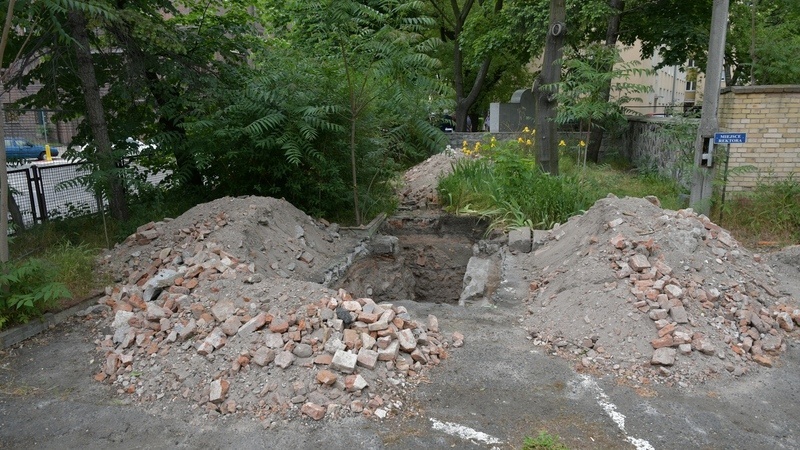 Archaeologists have recently unearthed the foundations of the building in ul Łąkowa. A visualisation of the burning New Synagogue, a frame from the documentary "We are Jews from Breslau"
Designed by Edwin Oppler, the Neo-romantic synagogue was erected in today’s ulica Łąkowa in 1865. Impressive in scale, the building had four towers and a seventy-metre dome. The sheer size of the building was comparable to that of today’s National Forum of Music. 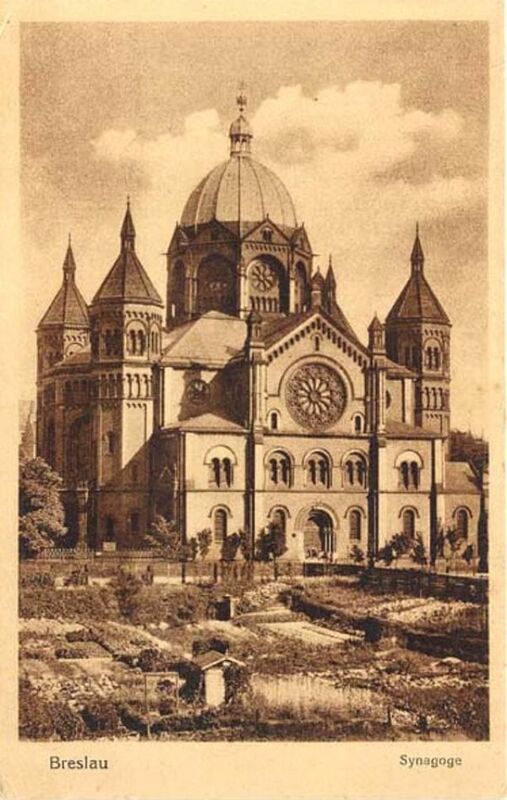 The only larger synagogue in Germany was that of Berlin. The construction of the new temple became a necessity as the Jewish community of then Breslau developed (ca. 20 thousand Jews inhabited Breslau in the latter part of the 19th century). Another reason to build it was a growing division in the Jewish community into orthodox and liberal congregations. The New Synagogue catered to the latter. The New Synagogue was destroyed by the Nazis during the Kristallnacht, on the night of 9th November 1938. “That was a dramatic harbinger of the plan to annihilate the Jewish people,” says Bente Kahan, an artist and President of the Bente Kahan Foundation. The foundation and the Jewish community of Wrocław initiated archaeological excavations in the plot of land in today’s ulica Łąkowa. The excavation work was subsidised by President of Germany Frank-Walter Steinmeier. He was recently presented with the Ignacy Bubis Prize. A native of Wrocław, entrepreneur and politician, Ignacy Bubis was a great advocate for dialogue and reconciliation among the nations. President Steinmeier divided his prize into two: one part was bequeathed to support Jewish Studies at the University of Heidelberg, the other part (25 thousand EUR) was donated to the Bente Kahan Foundation. The New Synagogue stood in the area where a kindergarten and apartment block (to the north) and a private university’s car park (to the south) are now located. The Jewish community owned 60% of the land on which the synagogue was erected. The archaeologists are not groping in the dark. Detailed accounts have survived in the archives in Wrocław and elsewhere. Several trial excavations have been made so far. The main entrance was located in ulica Łąkowa. “We have unearthed the remains of terracotta floor tiles. The tiles are green-and-blue with black corners,” says archaeologist Radosław Gliński.